Hi There! I had a little time to craft last night and I made this CAS birthday card inspired by the current Your Next Stamp - Sketch and Color Challenge #84. 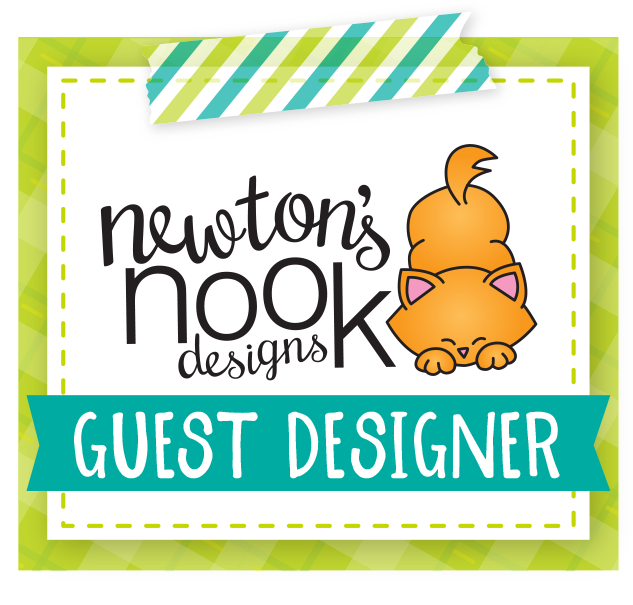 I absolutely LOVE the color palette and used three colors for this card. I also played along with the sketch over at Freshly Made Sketches #328 challenge which is perfect for a CAS design. 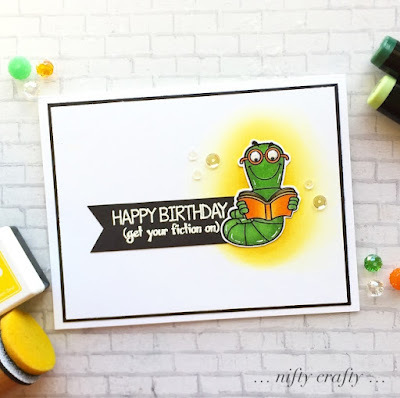 I used the nerdy bookworm from YNS - Get Your Fiction On stamp set as the focal point of the card. I stamped and colored the image with Copic Markers. I added some details with white gel pen and glossy accent on his glasses. I used Simon Says Stamp Lemon Zest to ink up the background. Next, I stamped the birthday sentiment from the same stamps set and white heat embossed it. To finish off the card, I added some sequins. A quick card for today! I hope you like it. Oh your bookworm is such fun! The yellow highlight is great! Glad you joined us at FMS! I have that set too and you've used it perfectly here. Fabulous colouring and the soft yellow behind the bookworm looks great! Thanks for playing along with FMS this week! Oh this is adorable! Super-cute image and the yellow around him really makes him shine. Thanks so much for joining us at Freshly Made Sketches. Thank you so much Karen! :) I'm glad to be the princess of your choice!